At the peak of minimalism, when artists such as Donald Judd and Frank Stella focused on reducing their art to specific objects, Peter Young sought a broader exploration. 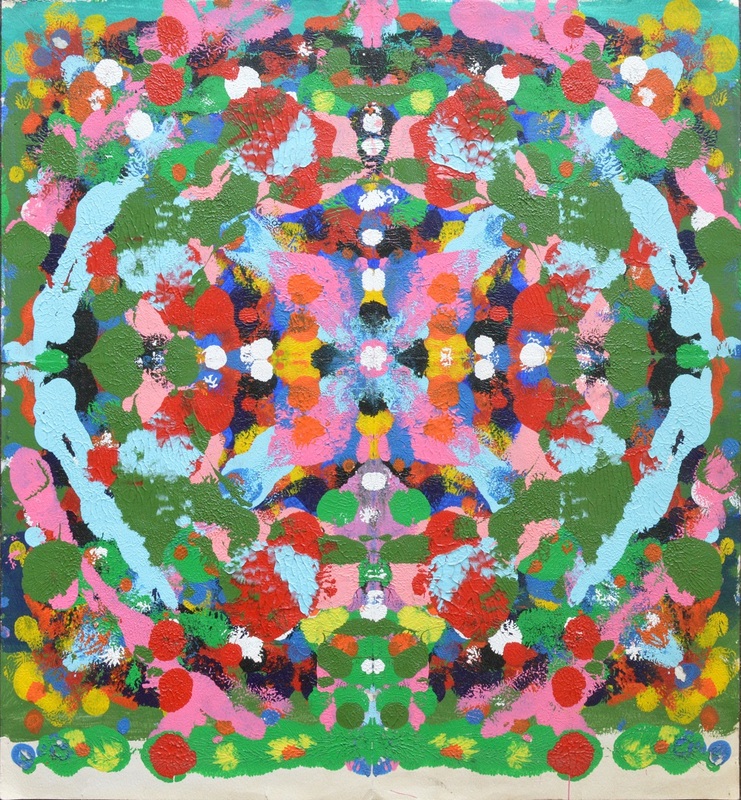 Often called the first post-minimalist painter, Young’s art emits a spiritual, atavistic, and often psychedelic rhythm. 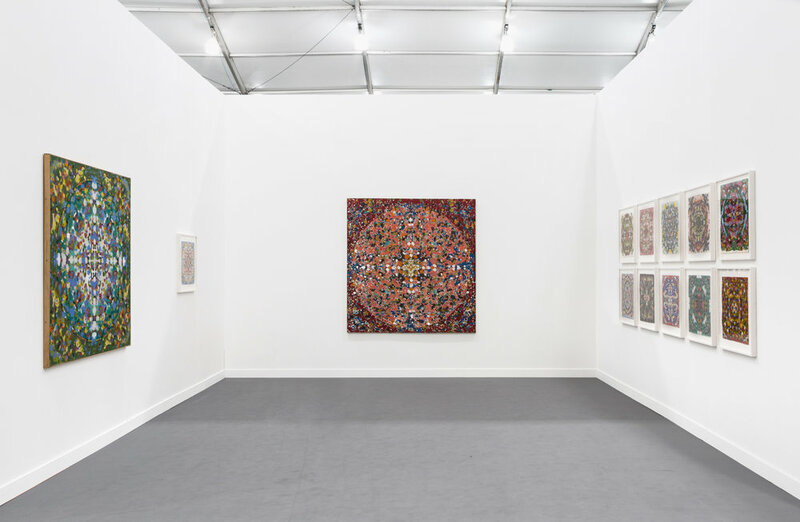 For Frieze New York, Gallery Wendi Norris presents a solo booth featuring a collection of never-before-exhibited, gem-like Mandala paintings from 1973 alongside Untitled (1974), one of the artist’s largest Mandala paintings. This work, which originally debuted at Young’s 2007 solo exhibition at MOMA’s P.S.1, anchors these intimate and delicate variations, expertly exploring the artist’s relationship between the rigorously mathematical, the handmade and the improvised. 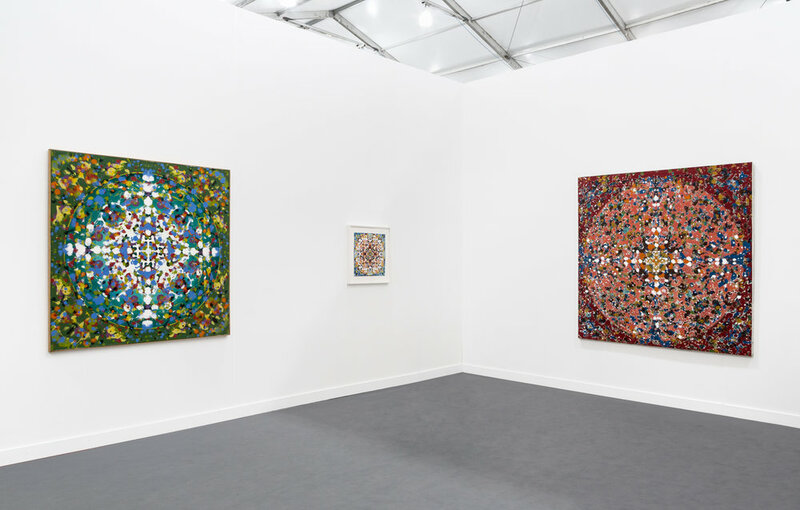 In 1973, several years after his acclaimed dot painting series, Young began intuitively manipulating the canvas, utilizing an eight-fold symmetry with singular horizontal, vertical and diagonal folds. The resulting balance reflects Young’s scientifically ordered curiosity while the folding evokes a child-like process or game. 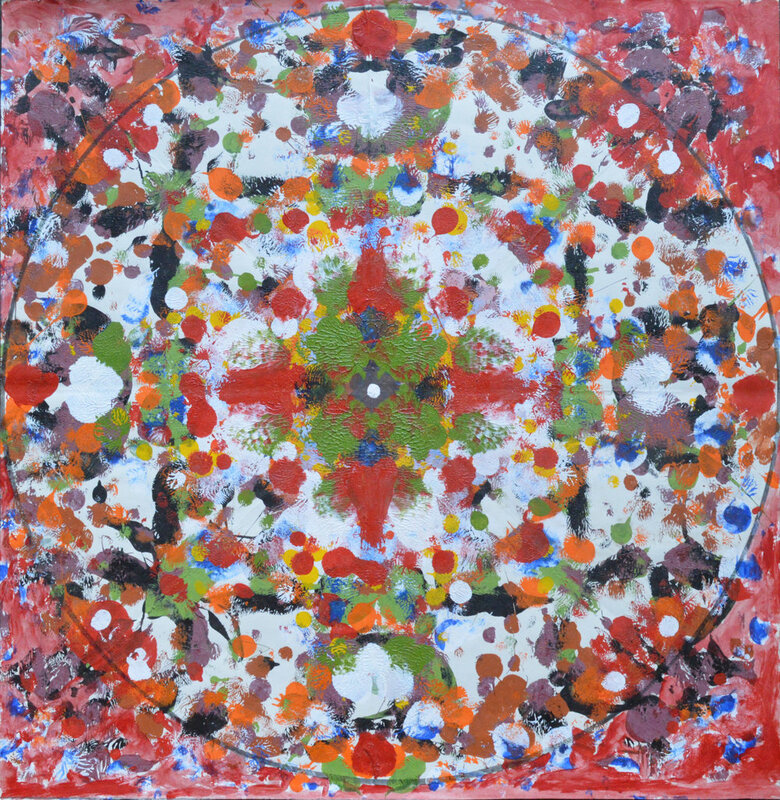 Young — ever the consummate colorist— applied a rich palette on the Mandala paintings using various methods, including decalcomania, a Surrealist automatist technique which transfers paint from one surface onto another, allowing chance to be part of the final result. Like his dear friend and former dealer, Richard Bellamy, Young was labeled as an outlaw during this period. In recent years, Roberta Smith, in her second review of Young’s work, noted that “Peter Young’s art is a blast from the past that singes the present.” What remains to be true is that the work—however spiritual, meditative, surreal or minimal it appears—defies categorization.